Something along the lines of “incredible”, “stunning” or “out-standing” may be in order. 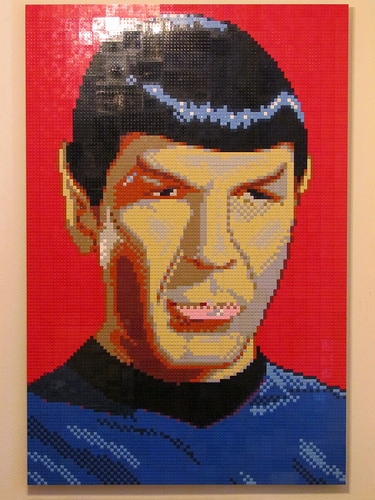 Rakanishu’s mosaic of Mr. Spock is a great homage to the Enterprise’s first mate and science officer. Can we describe a Lego creation as logical? I think we can. Awesome, I am watching TOS on Netflix, and this turns up on TBB. The flash reflection in the pic really detracts from this color by numbers mosaic.